Last night at the Sands Event Center in Bethlehem, PA, shock rock icon Marilyn Manson performed his 1996 classic “The Beautiful People” with very special guests Unlocking The Truth, a teen metal trio from Brooklyn, NY. 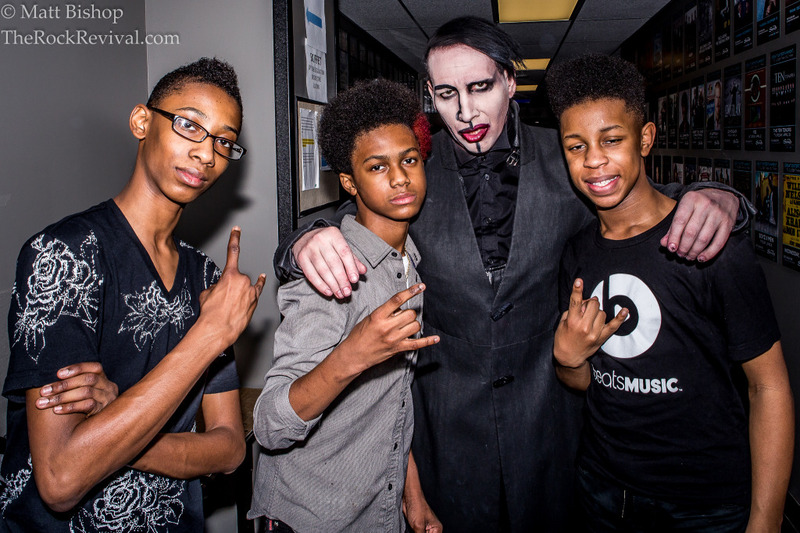 After the band’s opening set, Manson greeted the trio backstage to congratulate them and pose for a photo (above). Then, he invited the band to come jam for “The Beautiful People”. 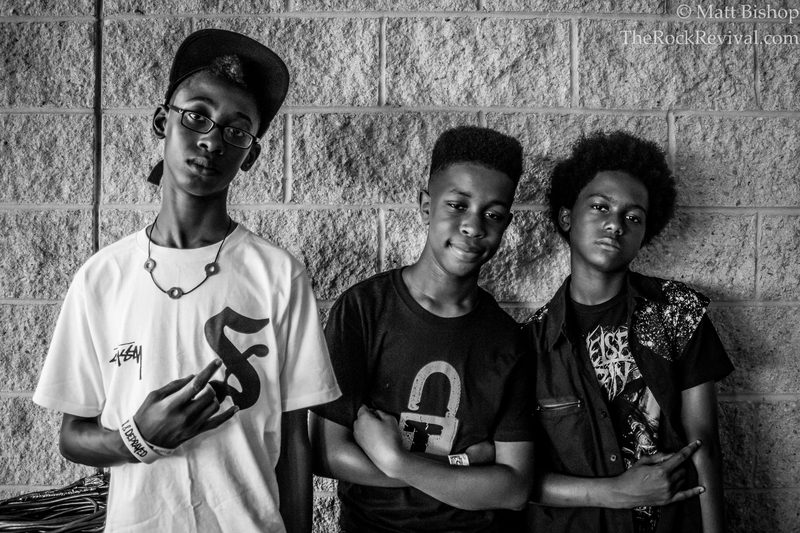 Unlocking The Truth are no stranger to supporting legends, especially at the Sands. The band also opened for Guns N’ Roses at their one-off show at the same arena last May. 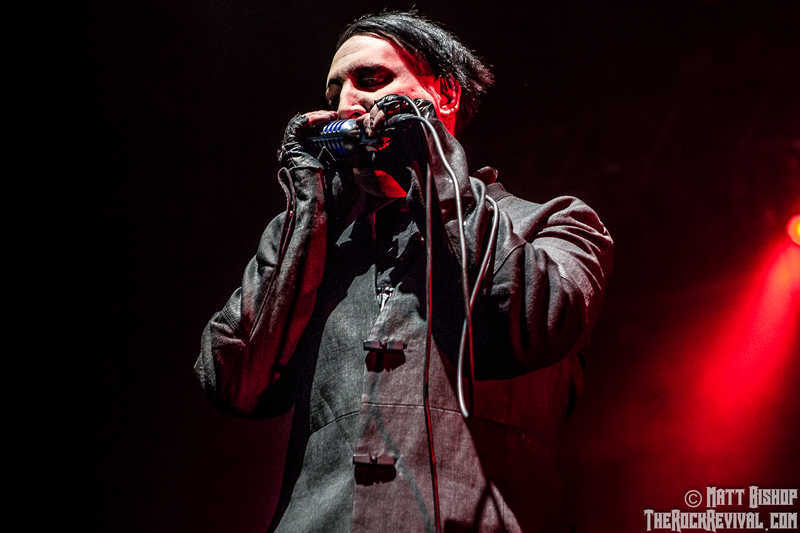 After the song, Manson stated, “Three black kids from Brooklyn on stage with Marilyn Manson. Unlocking The motherfuckin’ Truth.” Given the aggressive racism our country has seen over the last few months, Manson’s statement was just beautiful. No matter what is going in the outside world, rock ‘n’ roll remains forever colorblind. Tagged beautiful people, death metal, goth rock, gothic, hard rock, heavy metal, hell not hallelujah tour, manson unlocking the truth beautiful people, marilyn manson bethlehem, marilyn manson live, marilyn manson the beautiful people, marilyn manson unlocking the truth, metal, music news, rock music, Sands Event Center, shock rock, the pale emperor, TheRockRevival.com, trio, unlocking the truth bethlehem.